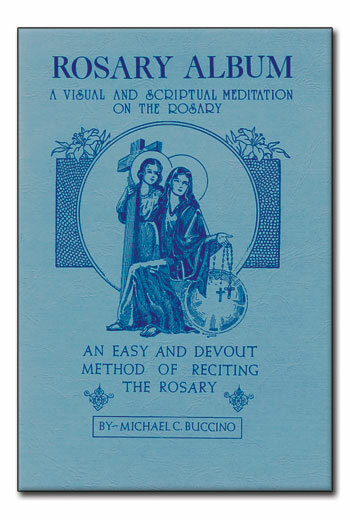 A VISUAL AND SCRIPTURAL MEDITATION ON THE ROSARY. A top favorite of young children and adults! Booklet includes over 200 original black and white illustrations (one for each bead!) by the late Mr. Michael Buccino. The artist began these drawings to help his children meditate more easily on the Rosary. "I came up with the idea that if they had a book with pictures it might keep their minds on meditating while they were praying and would be better able to concentrate on the Rosary. So I got started working on the Rosary Album, which took me 18 years to put together. 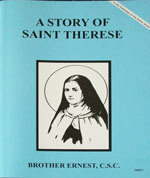 The book has brought the rosary to life." There is a picture and scripture verse for each bead. 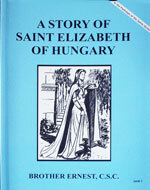 The Litany of Our Lady (with illustrations) is also woven into each mystery. For all ages. 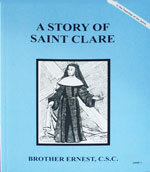 A Story Of Saint Clare by Brother Ernest, C.S.C. 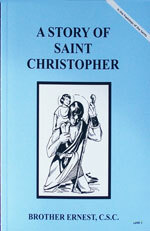 A Story Of Saint Christopher by Brother Ernest, C.S.C.